I visited the New Perfume Museum of Fragonard in Paris at Le théâtre-musée des Capucines and their new perfume boutique. What a magical experience! Fragonard Perfume Museum is near the Opera Garnier gives a fascinating look at the history of scent-making and the complex development of perfumes from the period when the synthetic molecule was developed. 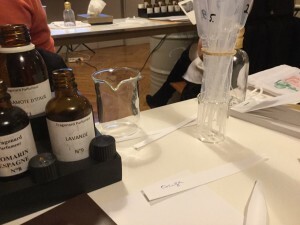 Furthermore, I took part in an Atelier to create my own Eau de Cologne: l’Apprenti Parfumeur! During 2 hours, a small group of 10 “apprenti’s” were shown the key ingredients of an Eau de Cologne: Orange blossom, Italian Lemon, Italian Bergamot. 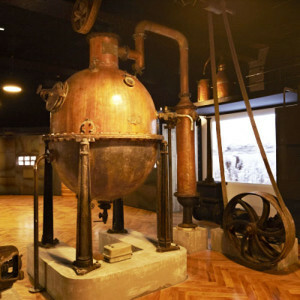 We learnt what are their properties and how an Eau de cologne is constructed with 80-85%% of these key ingredients. We were then introduced to the magic of discovering the finer notes of Tunisian Neroli, Essential oil of “Petit-Grain”, Lemon Verbena, Rosemary and Lavander which give the wonderful twists to the fragrance. These notes give depth, and personality, teaching us how to balance and personalise our own version of the famous Eau de Cologne. My mother just loves her daughters Eau de Cologne personalised formula!